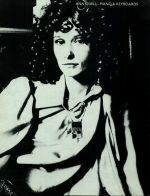 Ann O'Dell is featured on several Bryan ferry albums. She has arranged strings and played keyboards for many artists including Blue Mink. She played keyboards on Bryan Ferry's In Your Mind tour in 1977.